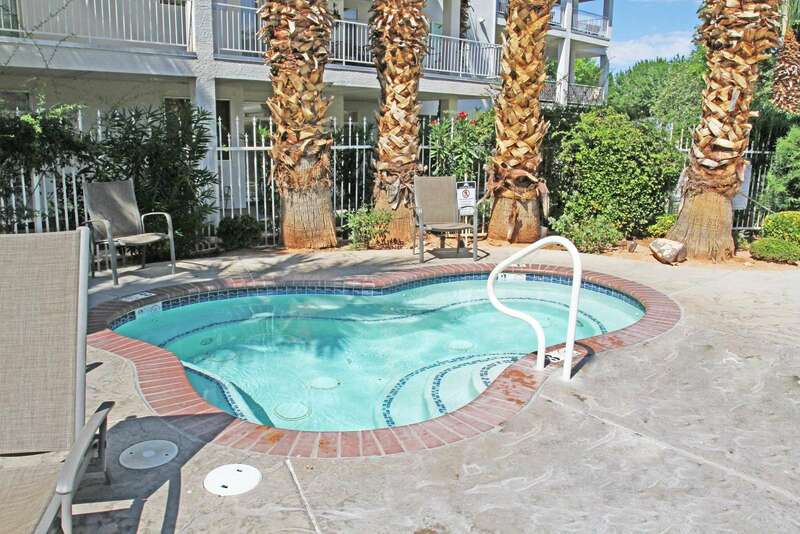 This condo is a 1 bedroom 1 bathroom luxury suite. 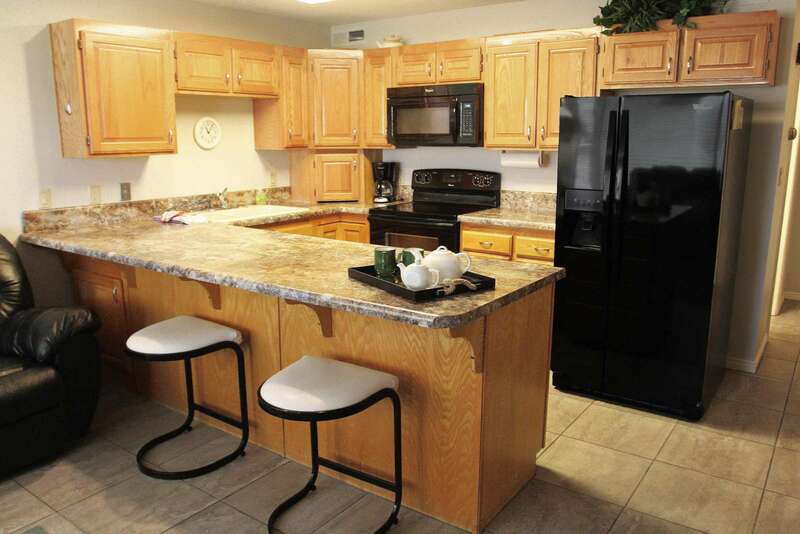 In the heart of the Las Palmas resort in building 14, this gorgeous condo awaits up to 4 travelers. 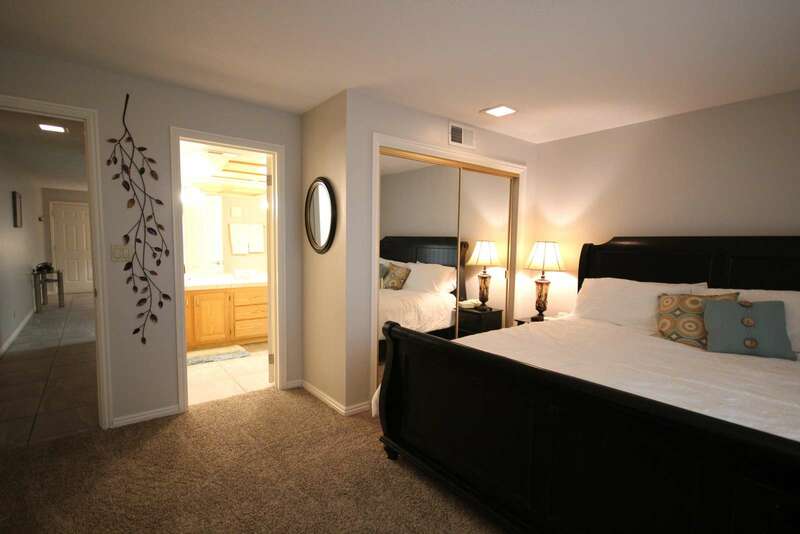 This condo is a 1 bedroom 1 bathroom luxury suite. 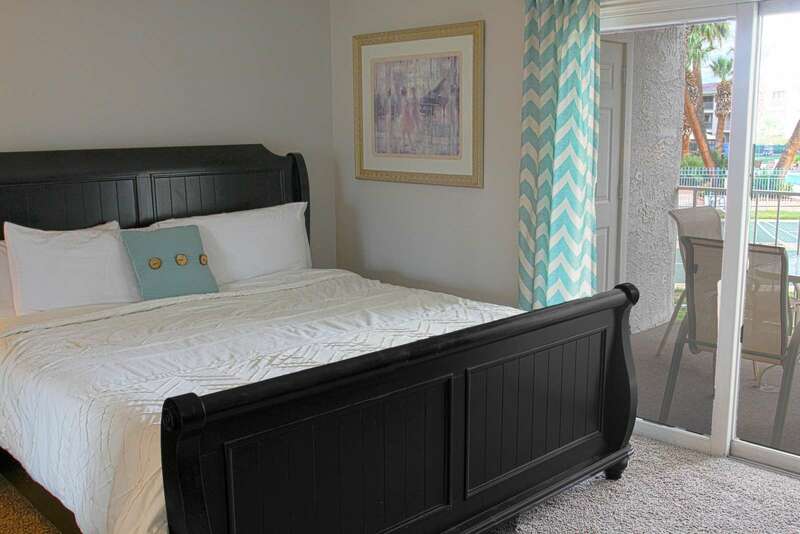 In the heart of the Las Palmas resort in building 14, this gorgeous condo awaits up to 4 travelers (2 in a master King bed, and 2 with an air mattress upon request). 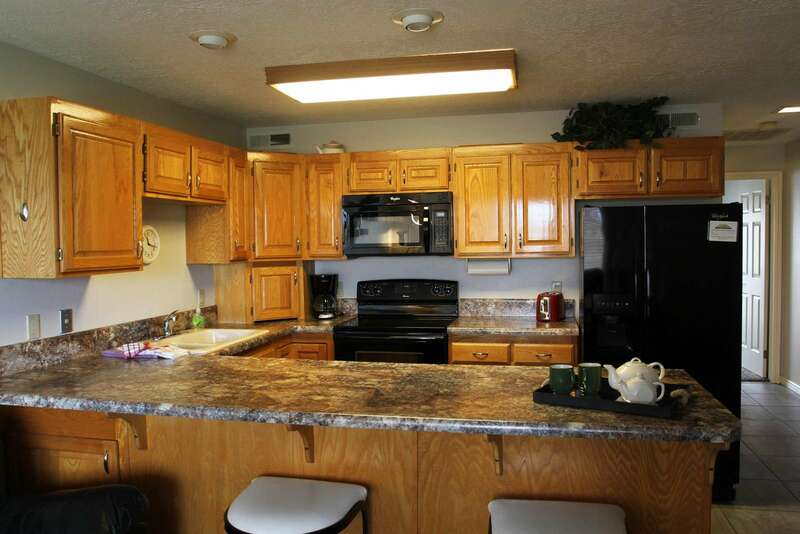 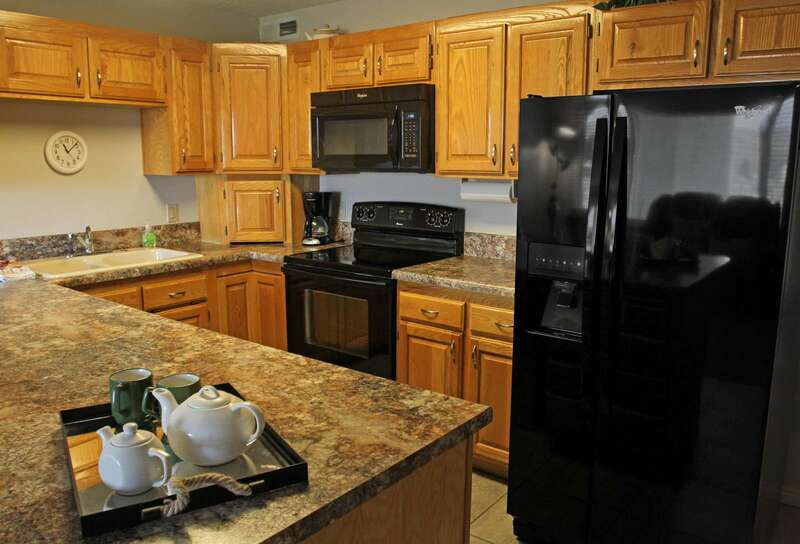 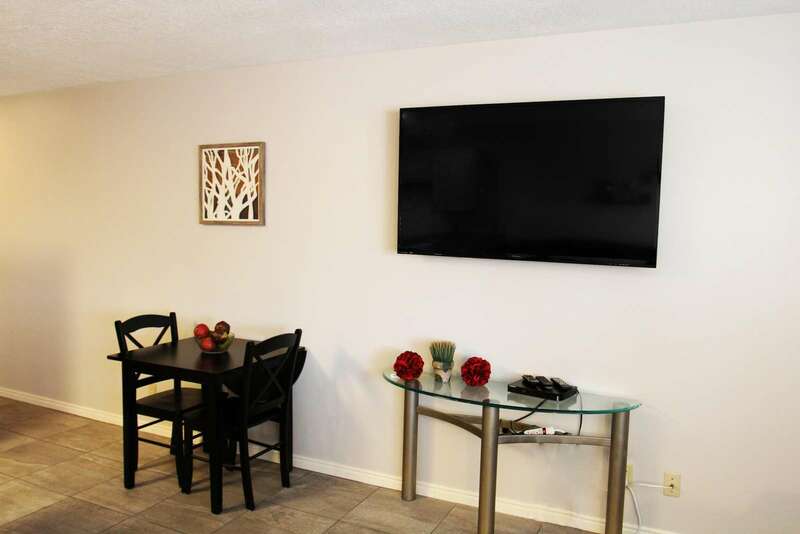 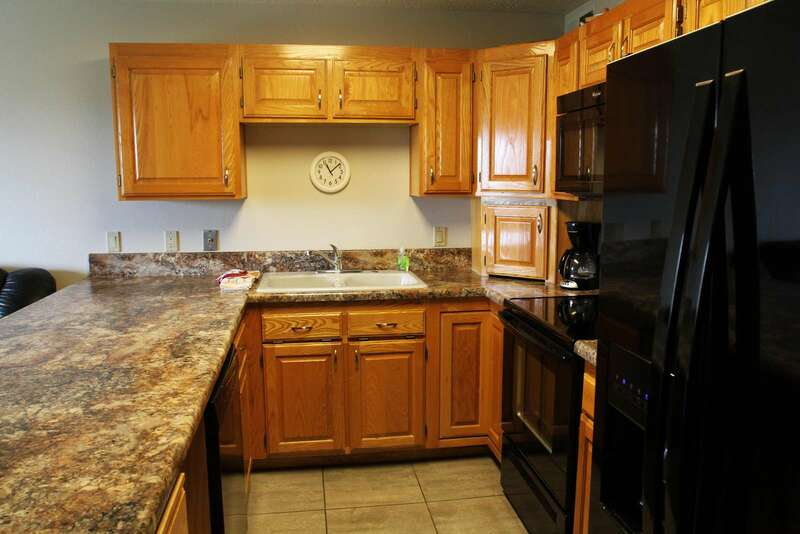 Upon entering the condo you will glide from the kitchen to the living room and out to the patio.The spacious kitchen is fully stocked with all major appliances and all other necessary utensils needed to create your favorite family meal making your stay with us that much better. 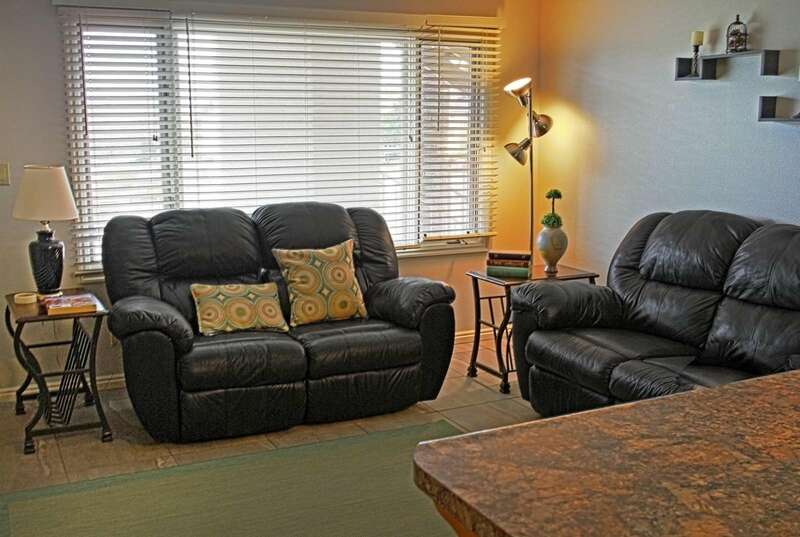 In the living room there are comfy couches and a TV for you to relax and enjoy after a day full of fun activities. 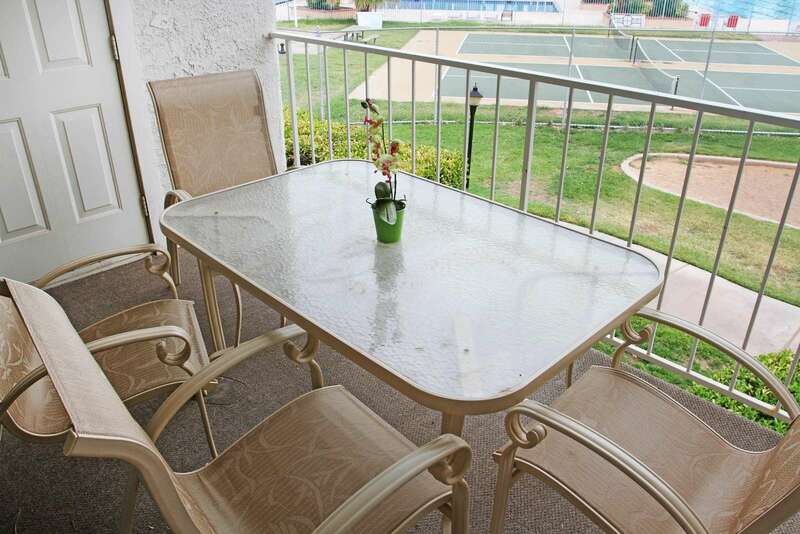 The patio has an outside table providing the opportunity to dine outside, enjoy the weather, or enjoy your favorite board games. 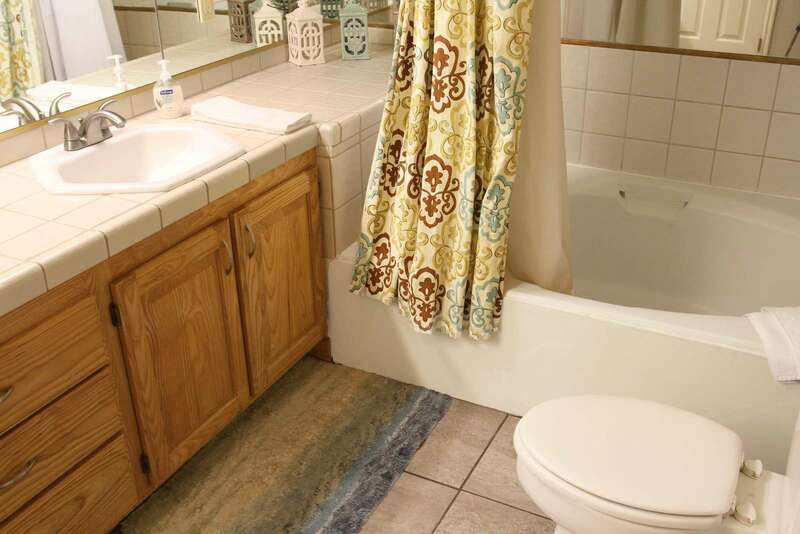 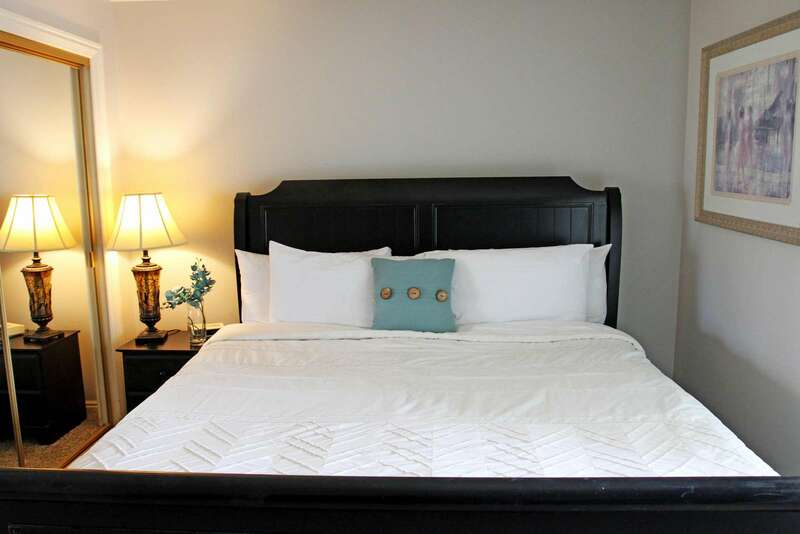 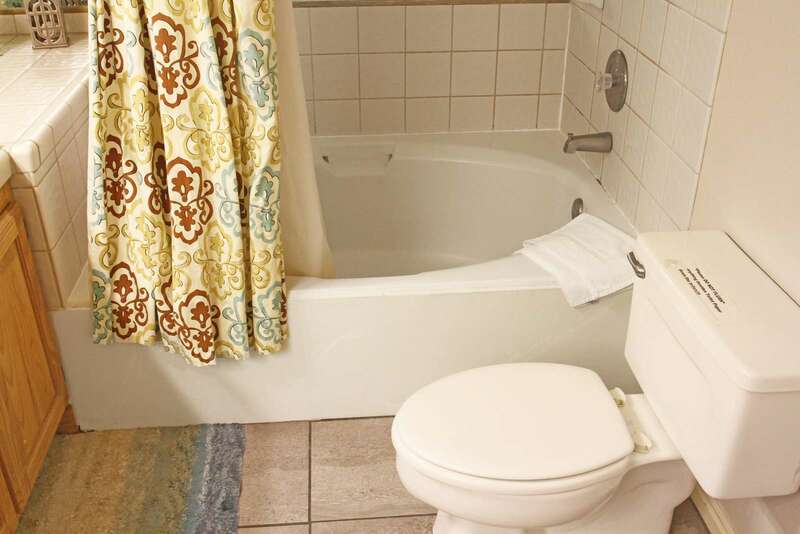 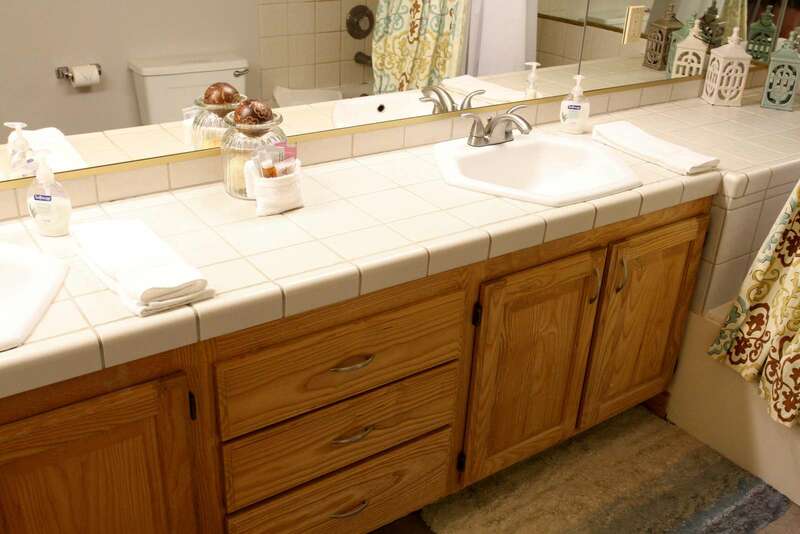 The Master Bedroom and bathroom are lined with fresh clean linens, fully stocked paper products, soaps/shampoos, and towels. 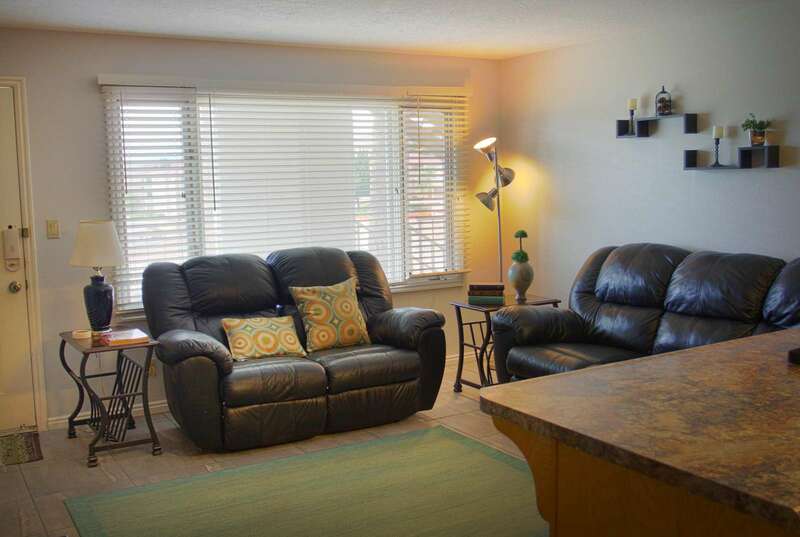 It features a flat screen TV, a view of the balcony, and storage space for the things you bring a long from home. 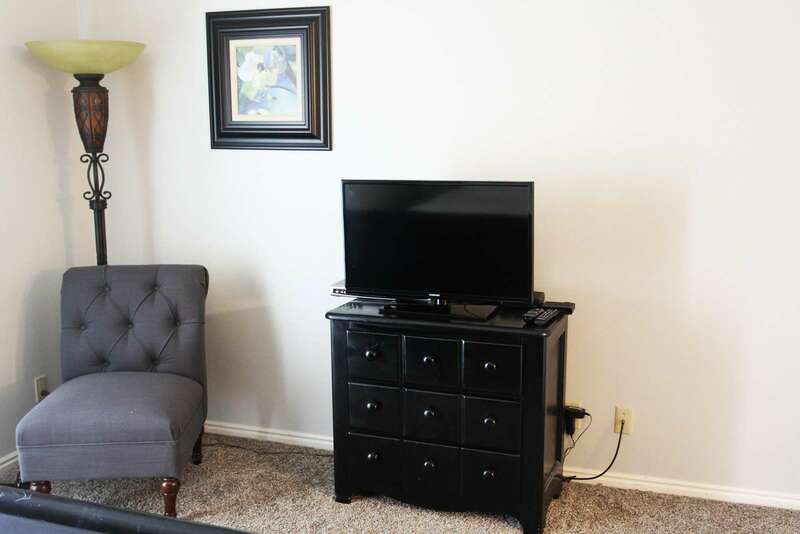 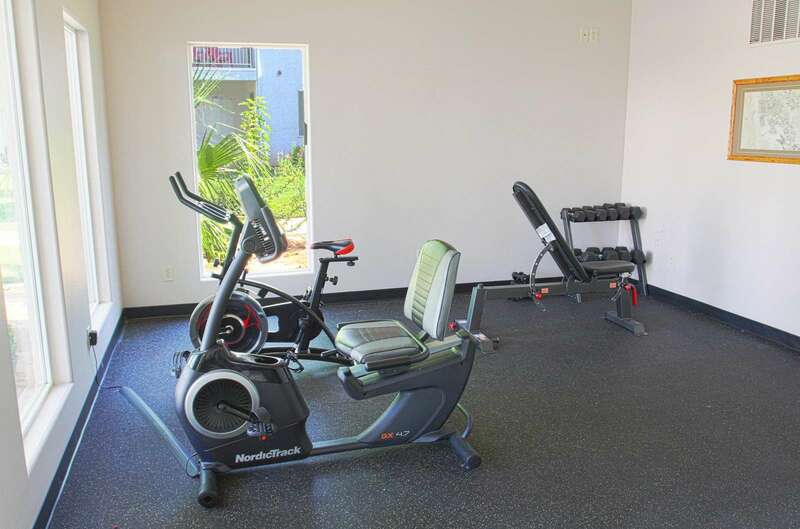 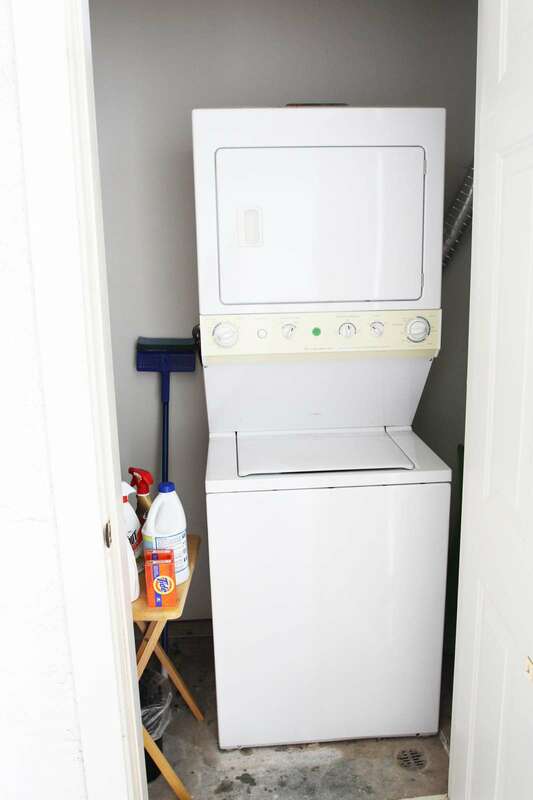 Some of its complimentary amenities are a full functioning washer and dryer and for your use, High Speed Wireless and Secure Internet, and Cable TV. 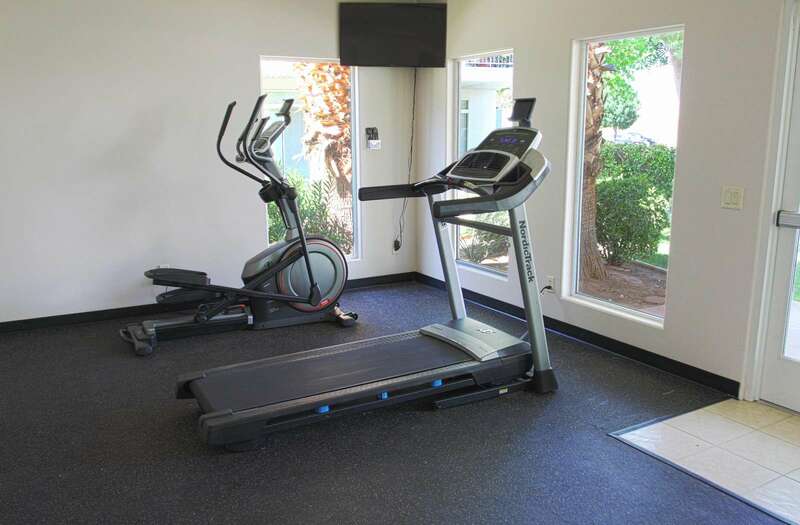 IT DOESN'T STOP THERE, because this condo is a part of the Las Palmas Resort, there is also access to 2 Pools; a waterfall pool and a family pool, and 2 playground areas for the kids.